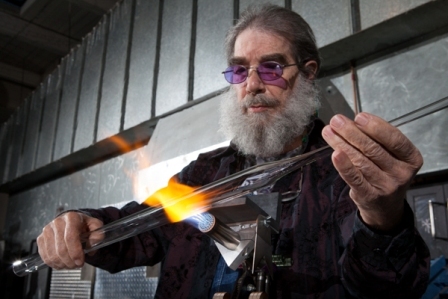 ** Bob Snodgrass started the glass art pipe industry as we know it today as he followed the Grateful Dead and blew glass in the parking lot outside shows. He will be collaborating with others in this evening of art and live glassblowing. In 30 short years, America's newest folk art has gone from the dead show parking lot to the attention of serious art collectors. 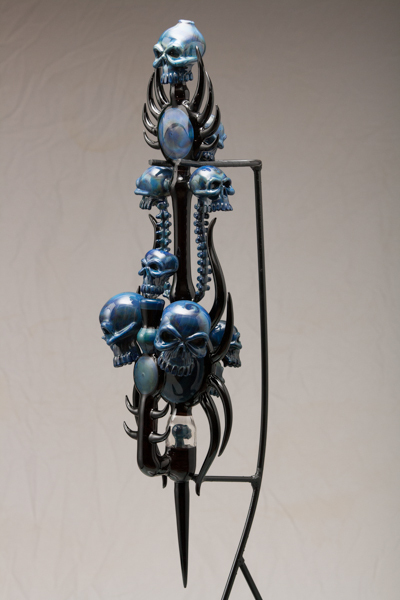 SEATTLE, Wash. - The underground world of “functional” glass art will emerge in an established gallery at the 7th Annual Night with Borosilicate on May 4th, 2013. 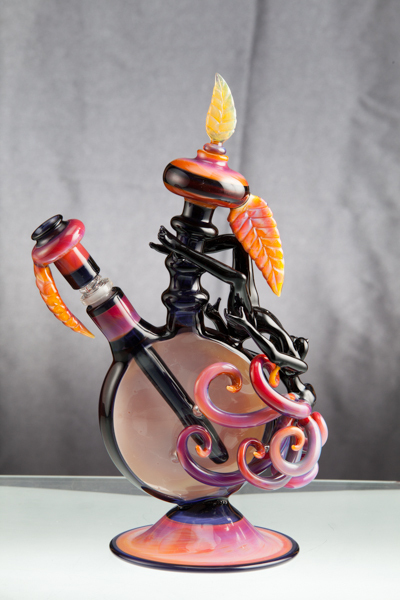 The event, hosted by Hot Glass Color & Supply and co-sponsored by Piece of Mind, will feature live torch demonstrations, Seattle’s only glass art pipe gallery show, a silent auction, raffle & technical workshops for glass artists. The event will be held in the Belltown neighborhood, at the Seattle Glassblowing Studio space. Tickets for the evening’s events are $10 and will be available at the door. 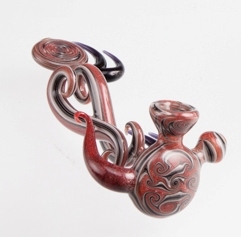 Although relatively unknown in the mainstream art world, a vibrant scene has emerged around a new American folk art – elaborate, hand blown glass pipes that are functional enough to use for smoking. These amazing creations will come out of the shadows and into one of Seattle’s premier glass art galleries for a night of glassblowing, camaraderie and charity. The documentary film ‘Degenerate Art’ by Marble Slinger Productions helped popularize this art form when it was released on Netflix in 2012. The passage of I-502, the ballot initiative legalizing recreational marijuana use in Washington State, is bringing wider recognition to this rebellious art form indigenous to the Pacific Northwest. Top borosilicate glass artists, including many featured in the film ‘Degenerate Art’ will collaborate throughout the night to create one super piece. Featured artists include Bob Snodgrass, Dosher, Cameron Tower, J-Red, TRUE and Tree. Art collectors and glass enthusiasts will enjoy the gallery show, which will highlight local and renowned artists’ artwork, showcasing innovative designs, unique color applications. Throughout the evening, guests can vote for their favorites in the gallery show, and the winning artists will be announced at 11pm. Many of the pieces from the gallery show will be available for purchase. 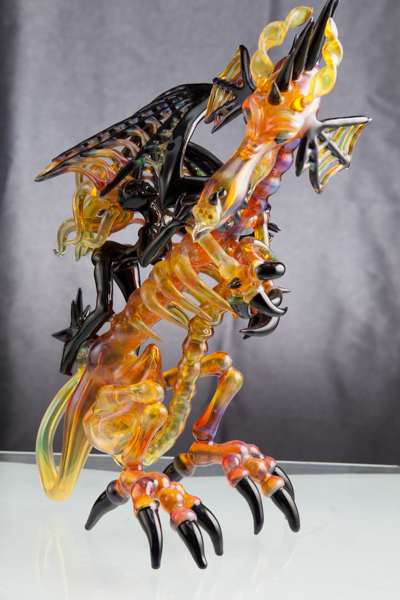 A silent auction benefiting Smile Train will include unique functional glass art pieces from some of the world's best borosilicate glass artists. Smile Train is a life-changing non-profit that provides free cleft-lip and palate surgery to in-need children worldwide. The borosilicate community has longstanding ties to Smile Train, which began when the artist known as Fugly suggested proceeds from the Chicago Project (a live charity glassblowing event) go to Smile Train. Seth True, a borosilicate artist, explains "It's hard to imagine changing the world, but it's easy to raise $250 and change a kid's life forever." Throughout the evening, guests can win prizes from a glass-themed raffle including tools, glass color, unique artwork, apparel and more. Each guest will receive a limited number of tickets with admission and additional tickets will be available for purchase at the door. The event owes a special thanks to Seth True from TRUE glass for arranging the schedule of the torch show as well as the pre- and post- event glassblowing seminars. Borosilicate glassblowers can participate in pre- and post conference technical workshops. Friday’s workshop will focus on fuming techniques, and Sunday will be a color workshop sponsored by Glass Alchemy. Workshop fees include admission to the main event. A special VIP package for glassblowers featuring admission to both technical workshops and the main event is available in advance for $420. Contact Cyrena at Hot Glass Color 206-448-1199 to register. Hot Glass Color & Supply was established in 2001 to serve the glass art community with glassblowing supplies, tools and the largest inventory of Kugler glass colors in North America. Lampworking supplies including kilns and glass colors for beadmaking are available from a wide array of vendors. 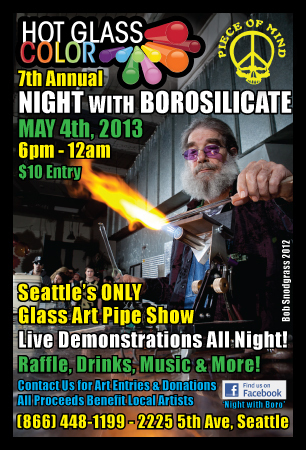 Borosilicate artists will enjoy Seattle’s best selection of tubes, colors and tools. Thank you for your wonderful offer to buy bongs in Canada by Thermodynamix Inc. at discounted rates. It is very useful. buy bongs in canada by Thermodynamix Inc.